Federal American Eagle ammunition is premier choice for top quality target ammunition among shooters everywhere. 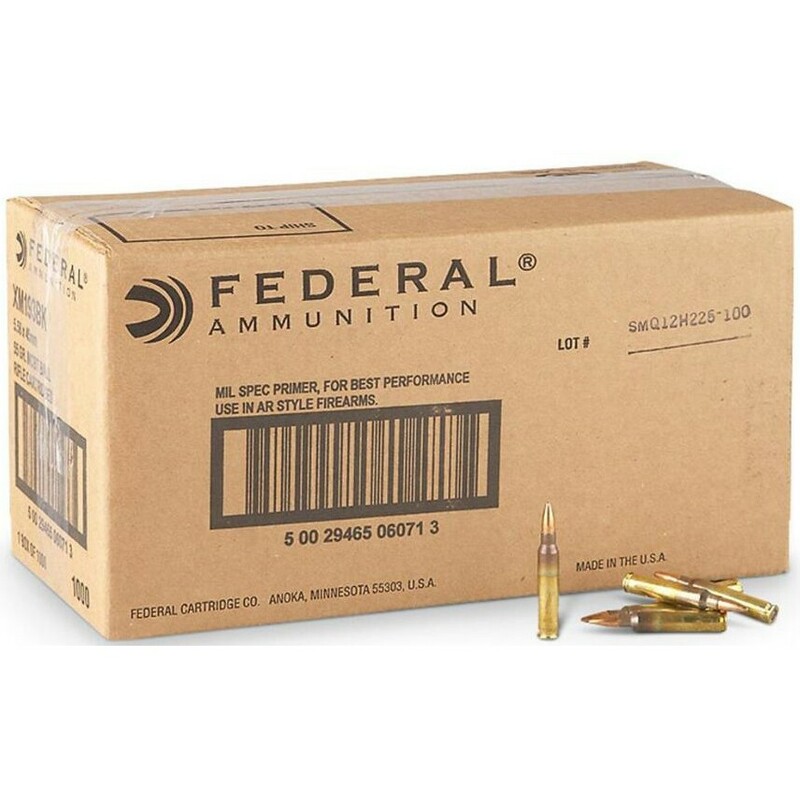 Federal consistently creates quality loads in a variety of modern calibers. This particular load is designed around a 55 grain Full Metal Jack Boat Tail Bullet. It is designed to be accurate as well as inexpensive to allow you to get the most out of your range time.